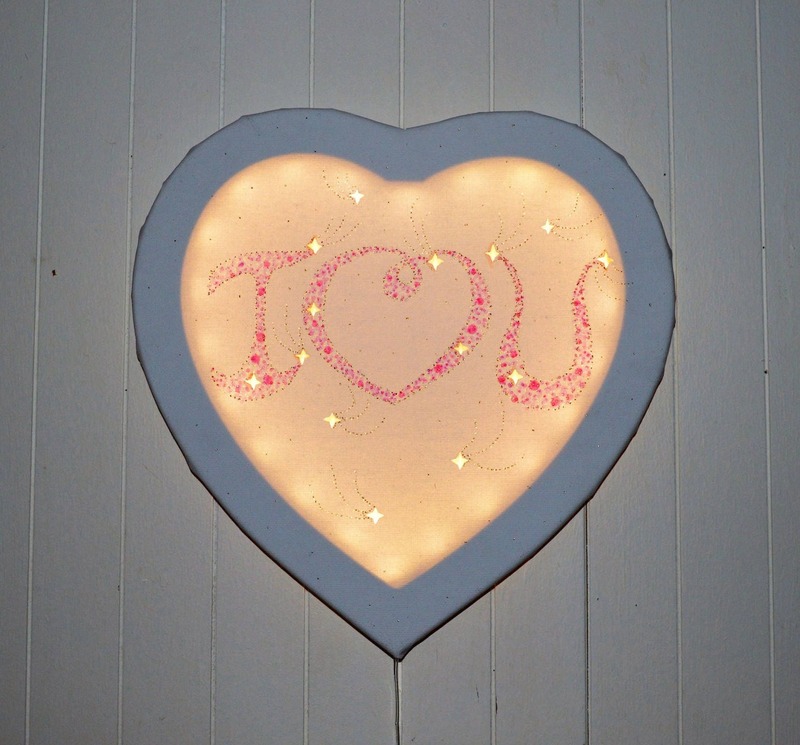 Heart-shaped luminous board, 'I love you' with LED. 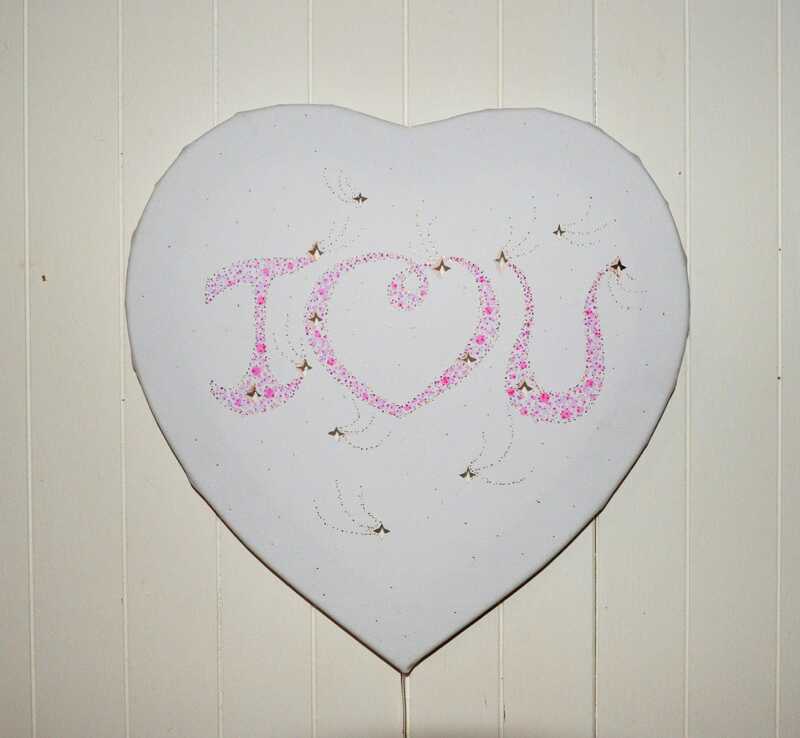 The word 'I love you' is colored with felt on pink and gold tones on a canvas on frame. 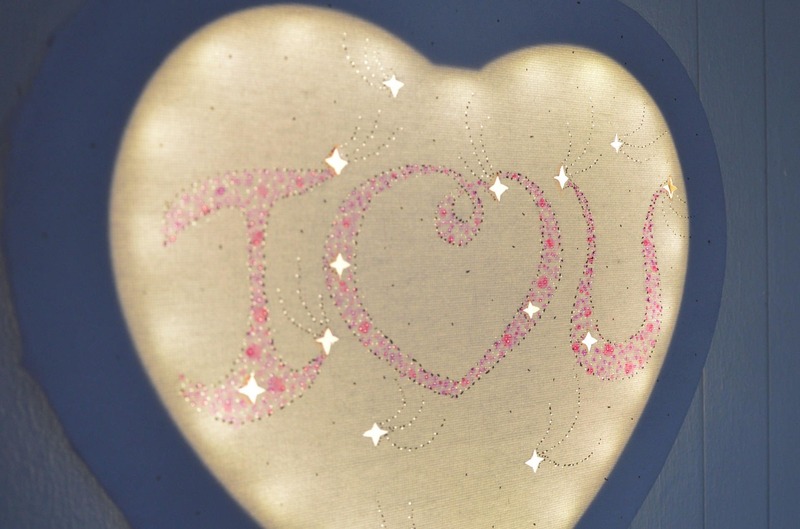 Small stars are pierced in the canvas and the whole is illuminated by a LED garland for a nice soft atmosphere. LED bulbs are powered by batteries (supplied, 3x AA). The canvas is 28cm wide.